Boys & Girls Village, a Milford-based organization serving families from more than 50 cities and towns in Connecticut, received a $435,000 annualized grant from the state Department of Children and Families to support an intensive home-based services program for abused children of caregivers who abused drugs or alcohol. 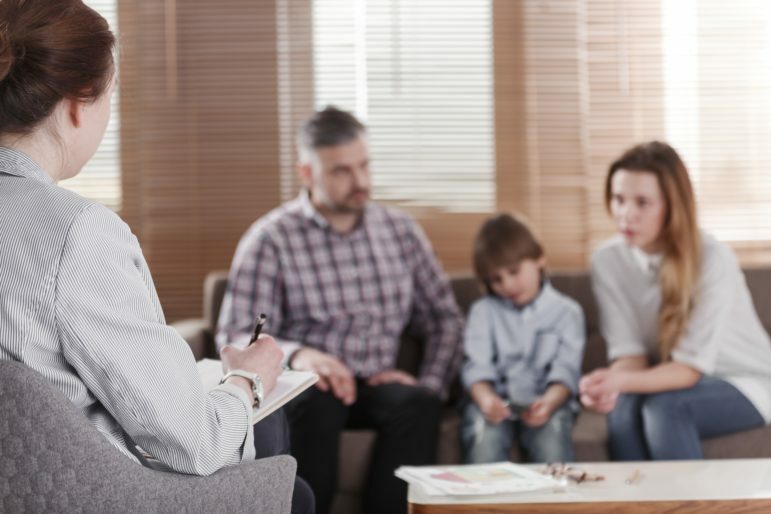 The program, called “Multisystemic Therapy – Building Stronger Families” (MST-BSF), will treat families that are active cases within DCF if the state finds that the child has been physically abused or neglected, and if the state finds substance misuse by at least one caregiver. A two-year pilot study of the program showed significant success, and a large-scale clinical trial of MST-BSF was completed earlier this year in upstate Connecticut. “We are grateful to have the Department of Children and Families’ support as we bring this important new program to Fairfield County,” said Dr. Steven Kant, CEO of Boys & Girls Village. At Boys & Girls Village, the grant will support a team consisting of three full-time master’s level Clinicians, one full-time Case Manager, one full-time MST-BSF Clinical Supervisor, and one part-time APRN. Af female psychologist helping a young family with a kid to solve child development problems. The team is expected to serve 21 families annually, each receiving intensive treatment services several times each week for an average of six to nine months. Results from the two-year pilot study showed substantial improvements. Among families that received MST-BSF, parents showed significant decreases in substance use, depression, and psychological aggression towards the child, while youth showed significant decreases in anxiety. Twenty-four months after referral, MST-BSF parents were three times less likely to have a substantiated new incident of abuse or neglect, and half as many youth required placement out of the home. For more information about the MST-BSF program, please contact Christina Trani at Tranic@bgvillage.org. For 76 years, Boys & Girls Village, Inc. has been one of Connecticut’s leading providers of behavioral health, educational and permanency planning services for at-risk youth and their families. Since its founding, Boys & Girls Village has touched the lives of thousands of children and families from 50 different Connecticut communities, providing behavioral health, educational, family preservation and stabilization, and vocational services with the belief that all children can develop a healthy developmental pathway. Come learn about the dangers associated with vaping and how to talk to your child about e-cigarettes and vapes at a presentation on Wednesday, Nov. 14 at Weston Middle School Library.